Troop 39 is one of the oldest continually chartered Scouts BSA Troop in the entire BSA movement. Whilst many troops may also be able to trace themselves back to a time just after the formation of the BSA, many of their charters were not maintained throughout the World Wars. Below are two important records documenting Troop 39’s history. The first is written by C. Walten Johnson in 1961 to the Occoneechee Council Scout Executive, John Shutt, giving his recollections on the origin of the troop. It was then known as Troop 1. I presume that this means that there was some sort of primitive North Carolina scout headquarters in existence that was authorized to hand out troop numbers. But it is possible that there was no NC central office and that Johnson had to correspond with national headquarters. 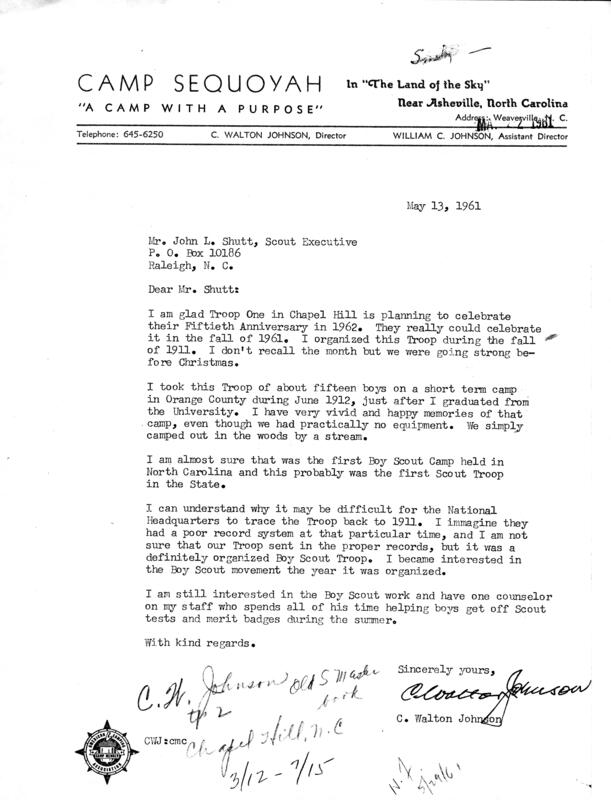 Troop 1 became Troop 5 when it was placed in the Cherokee Council in the 1920s and became Troop 39 when it joined the Occoneechee Council in 1937. 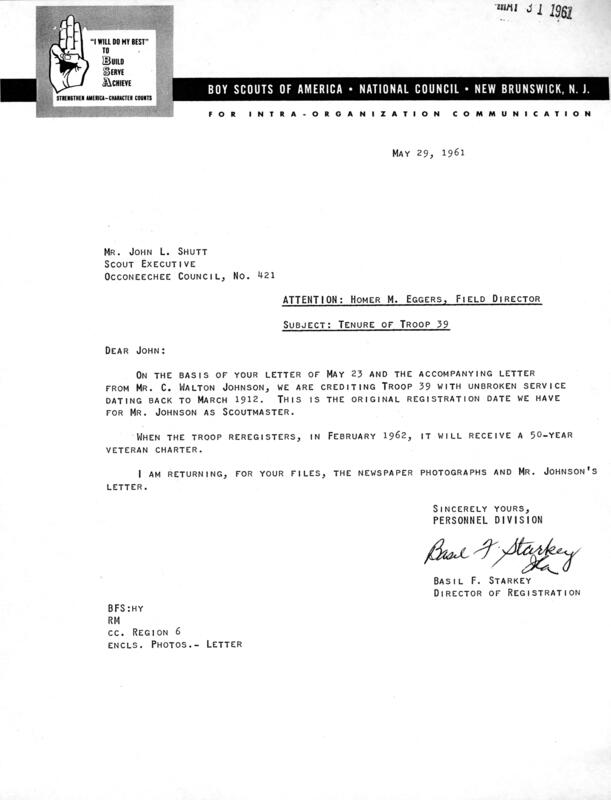 Shutt sent the Johnson letter to BSA headquarters for verification. The second letter is from Basil Starkey of BSA headquarters to John Shutt saying that they will stipulate the Troop’s origin back to March, 1912. In 2011, the Scouts and leaders of Troop 39, both past and present, will begin to mark the Troop’s centennial.